The Tony Awards recognize excellence in live Broadway theater. Nominations for the 73rd Tony Awards will be announced on April 30. 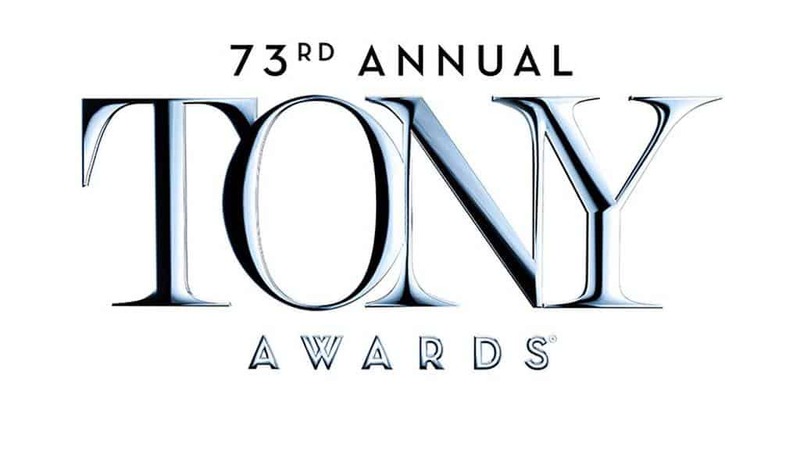 The 73rd Tony Awards ceremony will be broadcast by CBS on June 9. The Tony Awards began on April 6, 1947 and despite the growth of countless other forms of visual entertainment continue to be relevant today. The ‘official’ name is the ‘Antoinette Perry Award for Excellence in Broadway Theatre’ but since that doesn’t exactly roll off the tongue so the name was almost immediately shortened to ‘Tony Awards’. The award is named after Broadway actress/director/producer Antoinette Perry who died in 1946. She was also the co-founder of the American Theatre Wing which is essentially the live drama equivalent to the Academy of Motion Picture Arts and Science and the organization that presents these awards. Ms. Perry was reportedly nicknamed ‘Tony’ which makes the shortened version of the award make perfect sense. The ‘Tony’ nickname dates back to the first awards presentation and is credited to Warner Brothers story editor Jacob Wilk. According to history, it was a complete ad-lib he made while giving out one of the inaugural awards and the name stuck. In 1949 the designers’ union, United Scenic Artists, sponsored a contest for a suitable model for the award. The winning entry, a disk-shaped medallion designed by Herman Rosse, depicted the masks of comedy and tragedy on one side and the profile of Antoinette Perry on the other. The medallion was initiated that year at the third annual dinner. It continues to be the official Tony Award. Since 1967 the medallion has been mounted on a black pedestal with a curved armature. After the ceremony, each award is numbered for tracking purposes and engraved with the winner’s name. As the significance of Broadway Theatre has receded somewhat the viewership of the Tony Awards has also declined. In 1974, the Tony Awards had 20,026,000 viewers. That dropped to 9,155,000 but has remained fairly consistent over the past 17 years bringing in between 6 and 8 million viewers per year. The 2016 Awards drew a 1.6 rating with 8.7 million viewers, largely attributed to the curious mainstream popularity of ‘Hamilton’. If that was the case, the absence of ‘Hamilton’ took a toll in the ratings in 2017–the Tony’s dropped to a 0.9 rating and 6 million viewers which is a drop of 44% in the ratings and 31% in total viewers. The 2018 Tonys scored a 1.0 rating in the 18-49 demo, according to Nielsen overnight numbers, up one tenth of a point from last year’s telecast. Hosted by Sara Bareilles and Josh Groban, the show also averaged 6.3 million total viewers, up 5% from last year. Ahead of the telecast, “60 Minutes” drew a 0.7 rating and 7.9 million viewers. Much has been made of the changing broadcast television landscape with many suggesting that ‘ratings don’t matter any more’. While that might be an oversimplification in the post digital revolution media landscape there is considerable truth to that. If content of any type can aggregate an audience on a wide variety of platforms there’s a good chance it can be monatized. The Tony Awards could be a beneficiary of this trend. The Broadway League sounds happy with the relationship with CBS but at some point in the not too distant future it could be in their best interest to re-think the Tony Awards broadcasting format. Given the demographics, you’d have to think that many in the audience would purchase a pay-per-view version of the broadcast on a streaming platform or even via the Tony Awards website. There are only two eligible musicals in this category. The Tony Award nominating committee has the option of awarding a separate ‘Best Revival of a Musical’ award or including the two musicals in a ‘Best Revival of a Play or Musical’ combined category. With only two eligible musicals in the ‘Revival’ category the Tony Award nominating committee has the option of awarding a separate ‘Best Revival of a Musical’ award or including the two musicals in a ‘Best Revival of a Play or Musical’ combined category. All bets on ‘Any Musical Revival’ are action regardless of category changes. If the Tony Award nominating committee announces a separate ‘Best Musical Revival’ category the ‘All Musical Revival’ betting interest in this market will be graded as a loss. If there is one combined revival category all wagers on ‘Any Musical Revival’ will be graded as a win if either or both eligible musicals are nominated.